I hope you are enjoying your week, it's cold up here. Which isn't surprising in the least. I don't want to complain about the weather for the next six months, but this is just too dang early! I wonder if we are going to have a white Christmas? Todays post is something a tad bit different, it's about a product that you can use in almost every aspect of your life. I am seeing this product appear everywhere all of a sudden.....Tea Tree Oil! It's in my face wash that I am using right now and I hear SO many people talking about it in the different things that they use. Apparently you can use this stuff for SO MUCH MORE than what I originally thought. When I first found out about this opportunity my first thought was just facial cleansing, then once I started doing my research I got super excited. 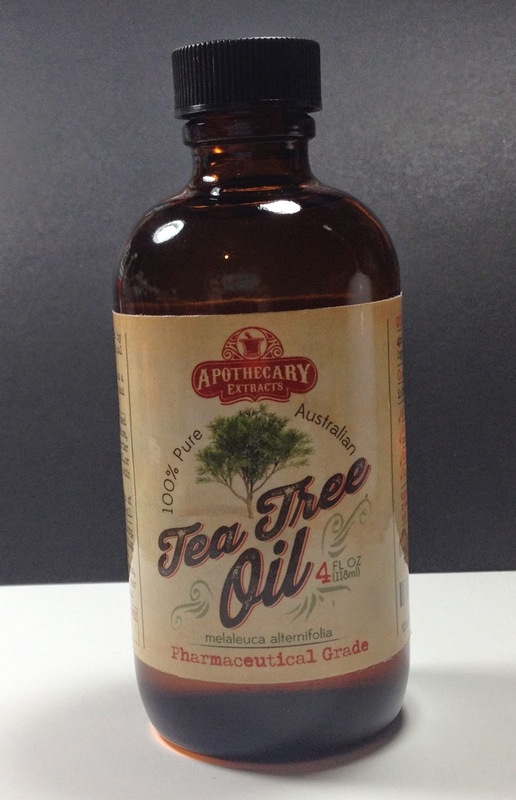 I was sent a four ounce bottle of Tea Tree Oil to review from Apothecary Extracts for review, it is HUGE! This will last me a long, long time. The general consensus is that this size will last most people at least a year. 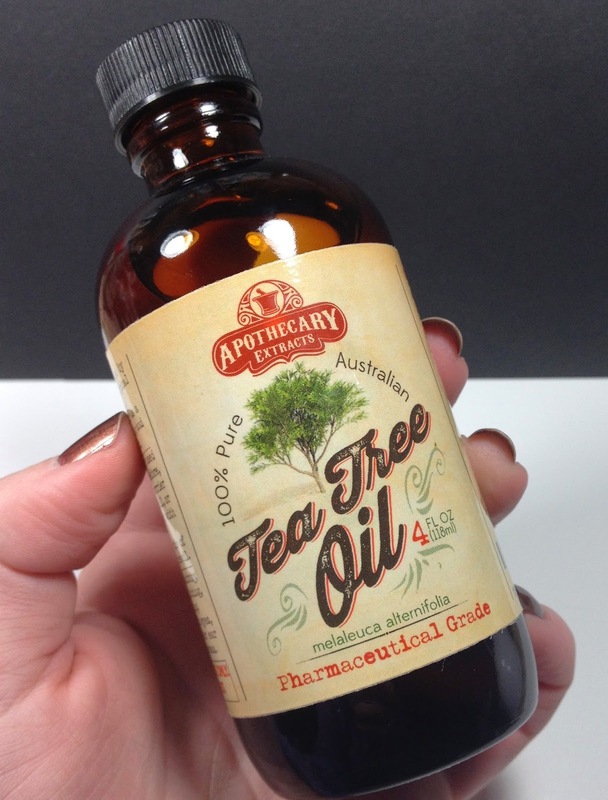 You can find it here: Apothecary Extracts Tea Tree Oil, it retails for $24.99. When you purchase this, you also get an e-book full of uses for this and directions on how to use it. Like with any new product, please be sure to test this on a patch of your skin first if you are going to be using it directly on your skin. I haven't been using it long enough to do a full lengthy review on it (I have developed a couple plantar warts, TMI I know, but I am using it to try to get rid of them naturally), but I am impressed thus far. I don't have acne or acne scarring but I hear it is amazing on that as well. I am VERY impressed with the seemingly limitless things you can use it in! See, look how huge the bottle is!!!!! 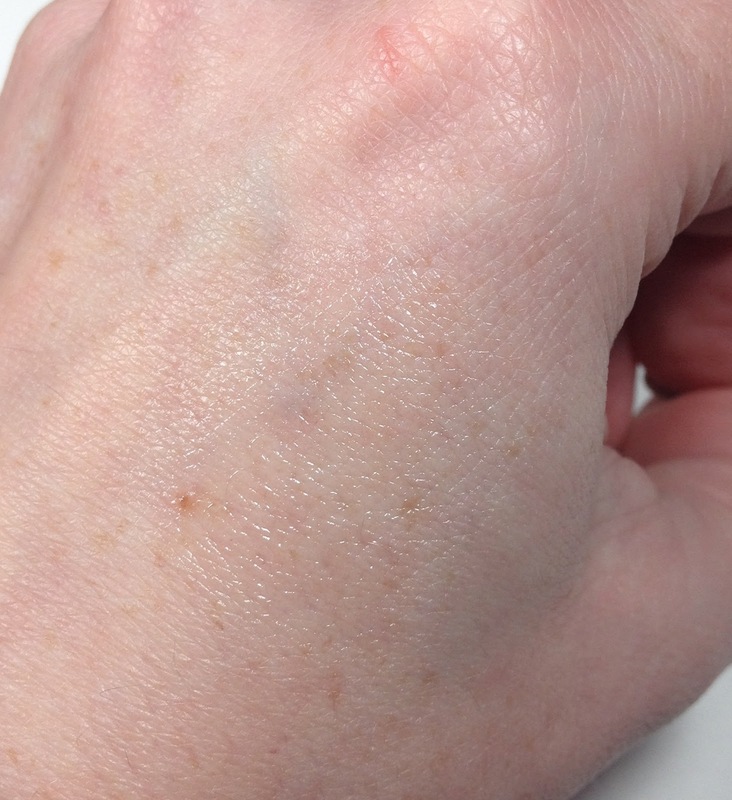 I am not sensitive so here it is on my hand, it's a clear oil. The scent on this undiluted is STRONG. I can honestly say I am so excited to have this in my life. The uses of it are so wide ranging I can use it for so much stuff! I would like to do a follow up post once I get the chance to use more of it up and try new things. What do you think? I've always heard such great things tea tree oil can do for the skin. Great review on this.